It’s been a while. Again. But hey, would you like to see my awesome camper van? I suppose making it this far, you really got no other choice. 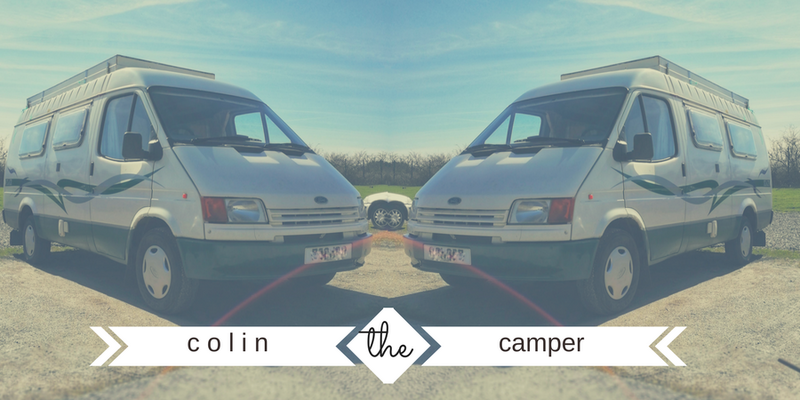 So without further due, let me introduce you to Colin… Colin the Camper. 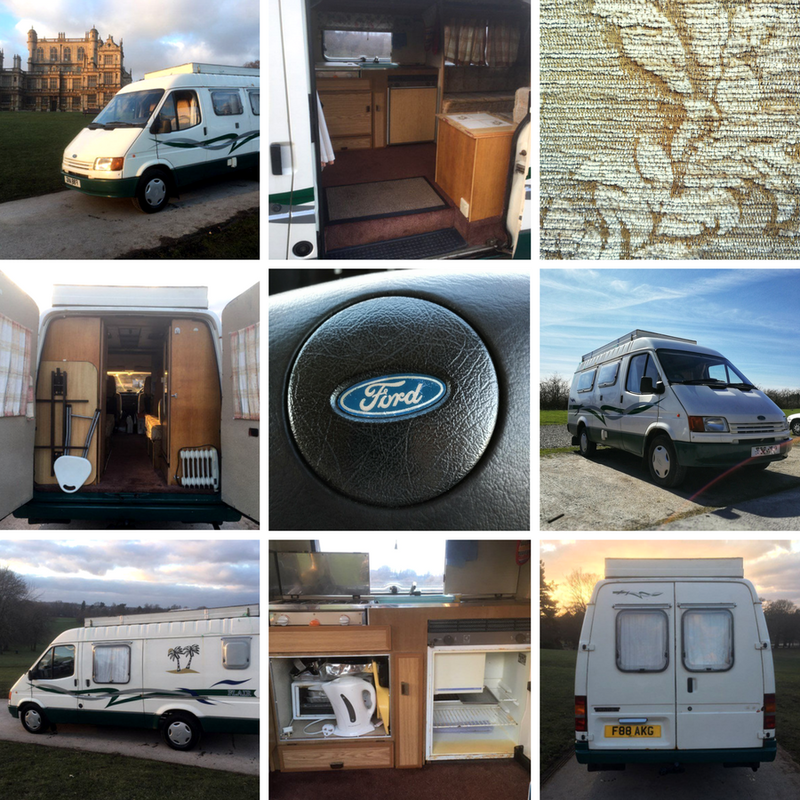 He’s a converted Ford Transit circa 1988, with a solid service record, 2L petrol engine and enough room to sleep up to four people. The previous owners, a tidy elderly couple who clearly pioneered the whole glamping thing before it was cool, kept him in tip top condition. Yes, he is peak retro. Yes, I still can’t drive. And yes, he was dirt cheap. Although he is ready to cruise straight to sunny Margate or down to Costa del Sol, today if needed, I actually have another usage in mind; we bought Colin to serve as my artist studio. Turns out renting studio space in our neck of the woods is near damn impossible. Either the potential land lords are turned off by the idea of an artist splashing paints everywhere or they are not dog friendly. Rather than compromise on our living space in the good old West Riding Kindred Spirit I really wanted to find somewhere else to work. The boat lacks natural daylight and setting up a table for my things each day would just be too much hassle, especially with Rusty nestling in my feet all day. I was getting pretty down about it all and lo and behold, it was my wonderful James who thought about hunting down a camper van. We went to see our Colin during the Easter break and less than a week later we had him driven down from Nottingham. Absolutely no regrets, not yet anyway. Sure, the interior needs to be updated, the engine needs regular tender love & care and I NEED TO LEARN HOW TO DRIVE, but I am over the moon to have a working space again. In other news, we will be back in France soon, mid-May in fact, and I am itching to crack on with the renovations Chez Nous. In our absence we had some lovely tenants from the UK staying over. Lucy with her partner bravely took on our bohemian den for a few month and you can read about how they got on here. Seeing her amazing photography is really inspiring me to do better in the future. I’m even thinking about setting up a chez nousinstagram account – what do you guys think of that?